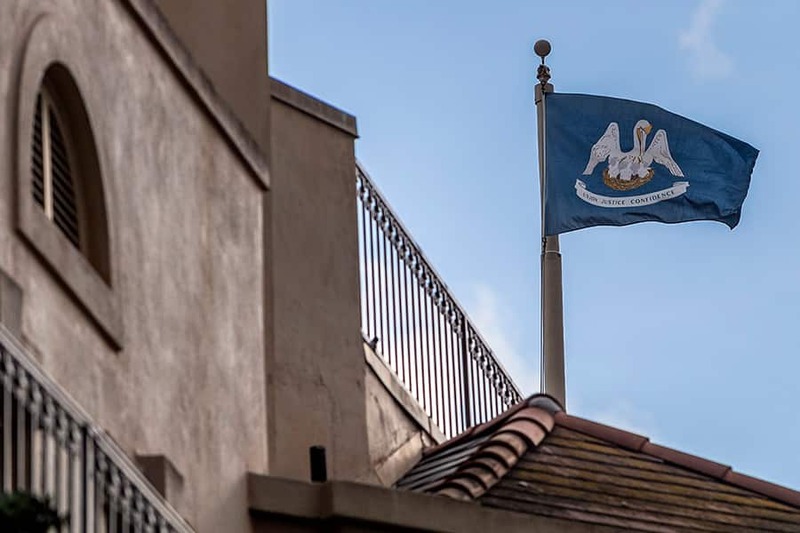 New Orleans Square in Disneyland park celebrates the spirit and culture of New Orleans, Louisiana — where jazz and creole cuisine meet, and something exciting hides around every city corner. Join us today as we take a closer look at the vibrant tenants of Royal Street. 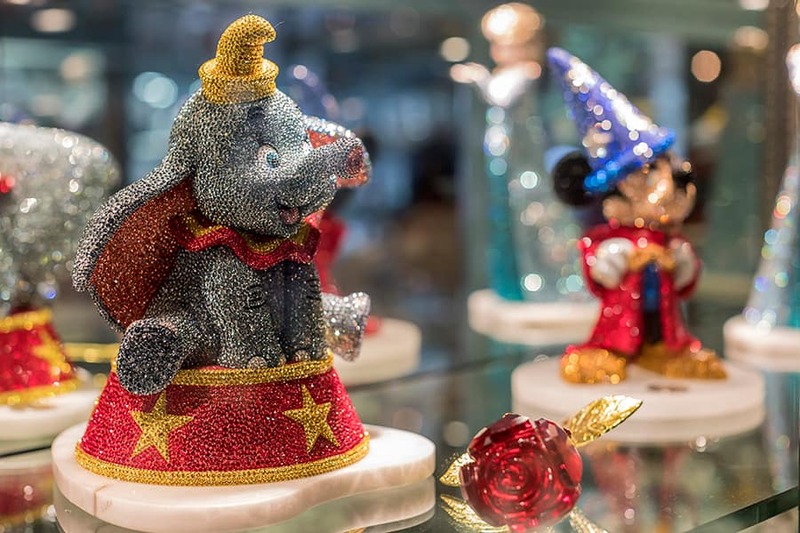 Walt Disney and his wife Lillian liked to shop for antiques, and found a treasure trove of collectibles and curios in New Orleans. Several of the items they found, from mechanical toys and ornate vases to lacy wrought-iron lampposts, found their way into Disneyland. When creating New Orleans Square, Walt wanted to replicate the sense of discovery that he and Lillian enjoyed in New Orleans. The spirit of discovery lives on all throughout Royal Street. At the entrance of Royal Street, number 15, a large parchment-style banner with red lettering welcomes guests to shop for clothing and other merchandise at Port Royal Curios and Curiosities, a New Orleans-styled boutique shop. The name was inspired by the 17th century pirate stronghold in the Caribbean, which was also used as a location in the “Pirates of the Caribbean” films. 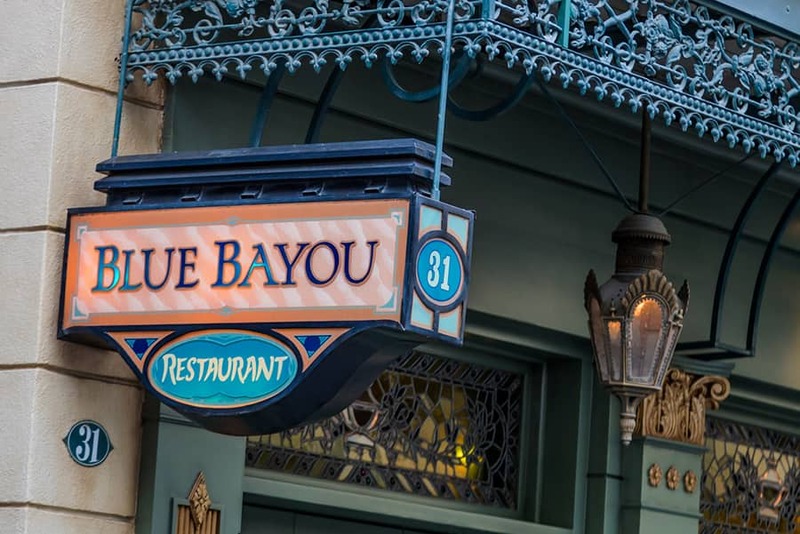 Blue Bayou offers guests a charming table-service dining experience. 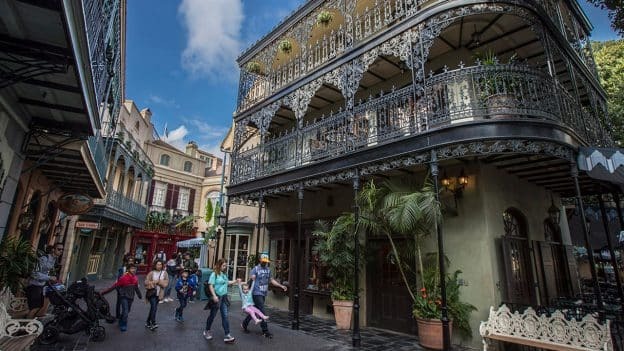 The exterior and interior spaces of this restaurant, as well as others in New Orleans Square, were inspired by restaurants in the historic French Quarter. The number over the entrance door places Blue Bayou at number 31 Royal Street. Next time you’re there, try the Monte Cristo sandwich, a New Orleans (and Disneyland guest) favorite! 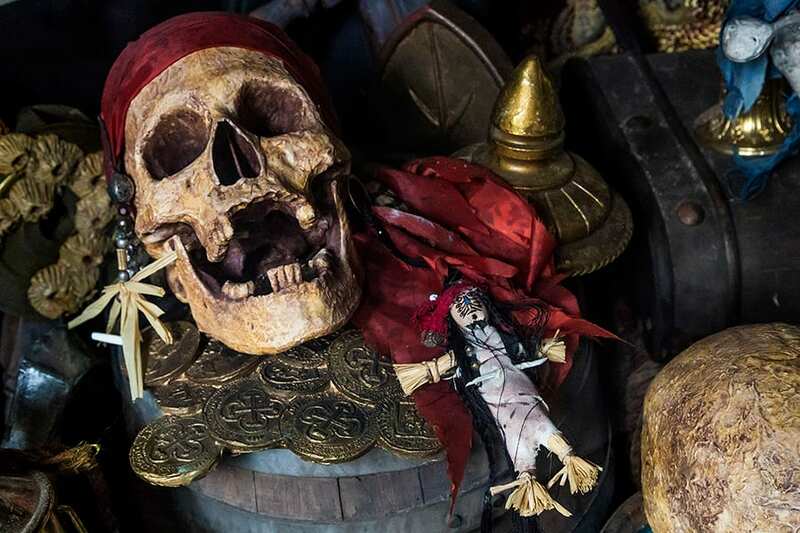 For those seeking pirate treasure, Pieces of Eight carries swords, treasure chests, pirate hats, gold doubloons and all manner of collectibles inspired by Pirates of the Caribbean. 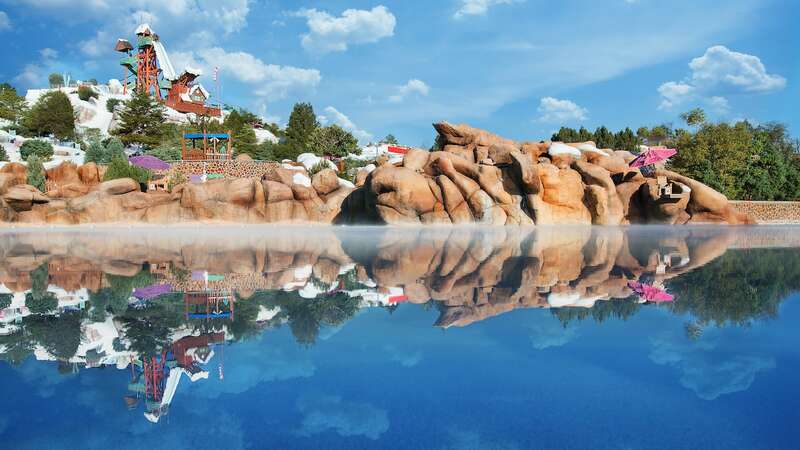 It is located at the exit of the Pirates of the Caribbean attraction and has a pirate ship-inspired interior. It opened in 1966 at its current address, number 25 Royal Street as the Pirates Arcade Museum. 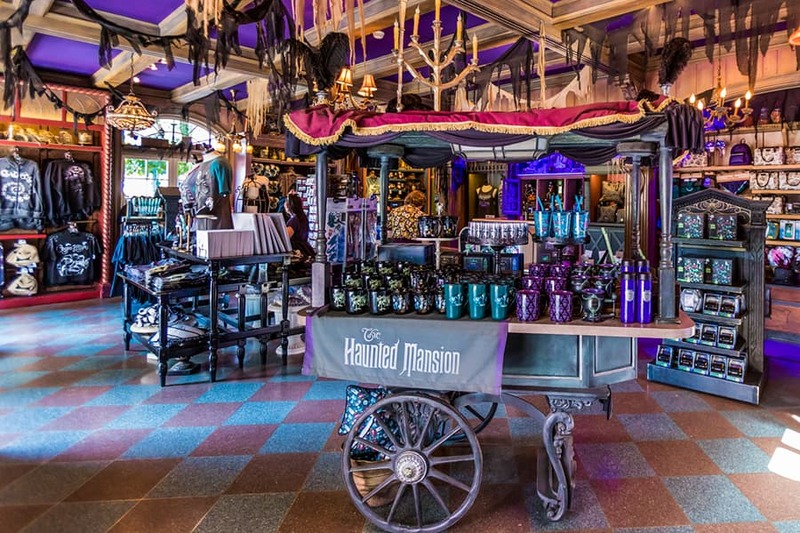 Cristal d’Orléans, located at number 32 Royal Street, is one of the original shops in New Orleans Square. This small, yet richly decorated shop is filled with mirrors to enhance the sparkling crystal bowls, vases, boxes and glassware. Get a personalized memento here, or a tiara fit for any Disney princess. 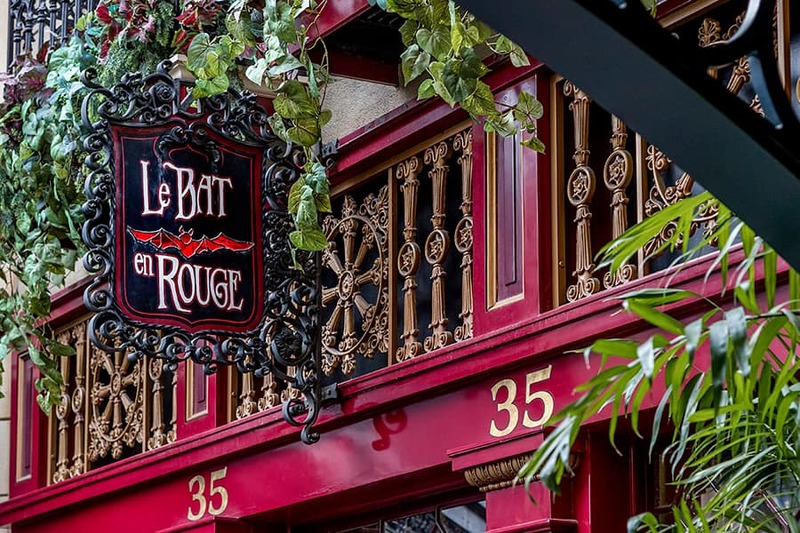 Located at numbers 35 and 37 Royal Street, Le Bat en Rouge offers gorgeous apparel and accessories, some from The Disney Dress Shop line. The name, of course, is a play on the name of the city of Baton Rouge, Louisiana, which stands just about 80 miles from the city of New Orleans. 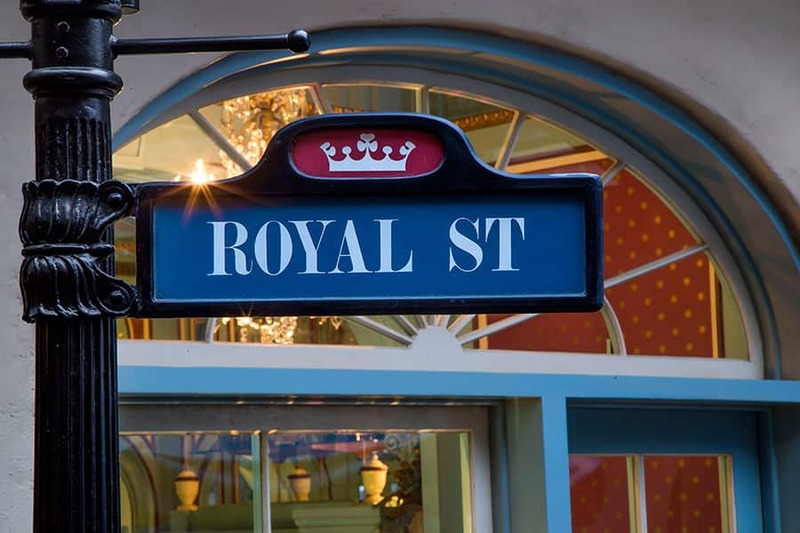 Whether searching for pirate’s treasure or a bowl of gumbo, Royal Street offers up the best of New Orleans Square. Thanks for joining us, readers!